Now accepting reservations! Rare opportunity to OWN a mixed-use, live/work townhome just steps from SunRail in walkable Downtown Lake Mary on East Wilbur Avenue. Architecturally designed to recapture the feel of an old Southern main street, the exceptionally rare East Wilbur Live/Work townhomes provide a true live/work opportunity with a street-level floor plan that is perfect for a home-based business or occupation — such as Accountant, Artist, Attorney, Chiropractor, Nutritionist, Therapist, Trainer, Realtor, Photographer, Graphic/Web Designer, Writer, etc., — or simply as an additional living space. 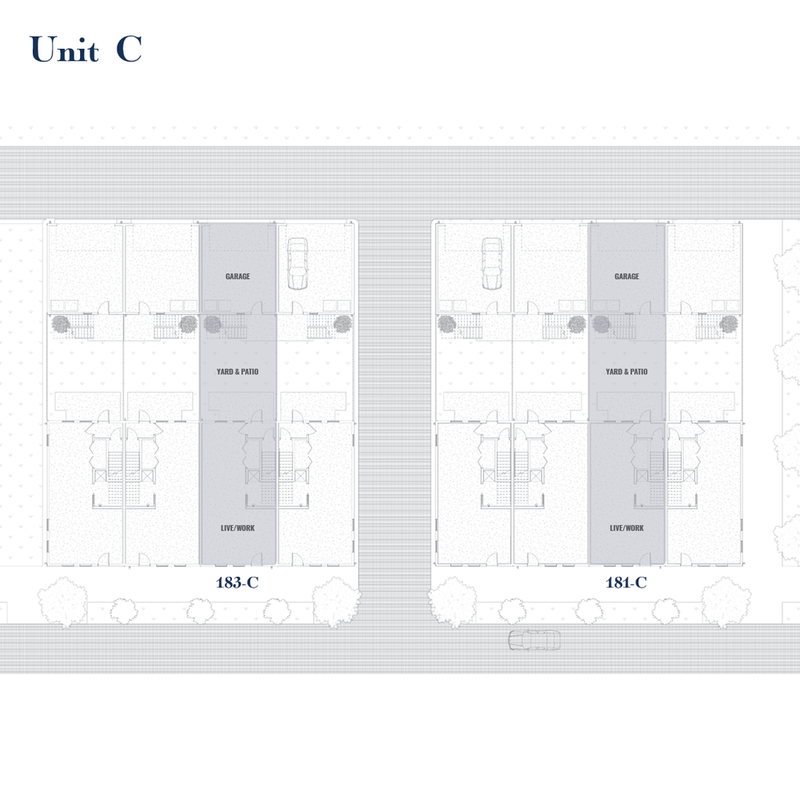 Each mixed-use townhome features an expansive retail/office/residential flex space (820 sq. ft.) and full bath at the ground floor, with 3 Bedrooms/2.5 Bathrooms above (1,700 sq. 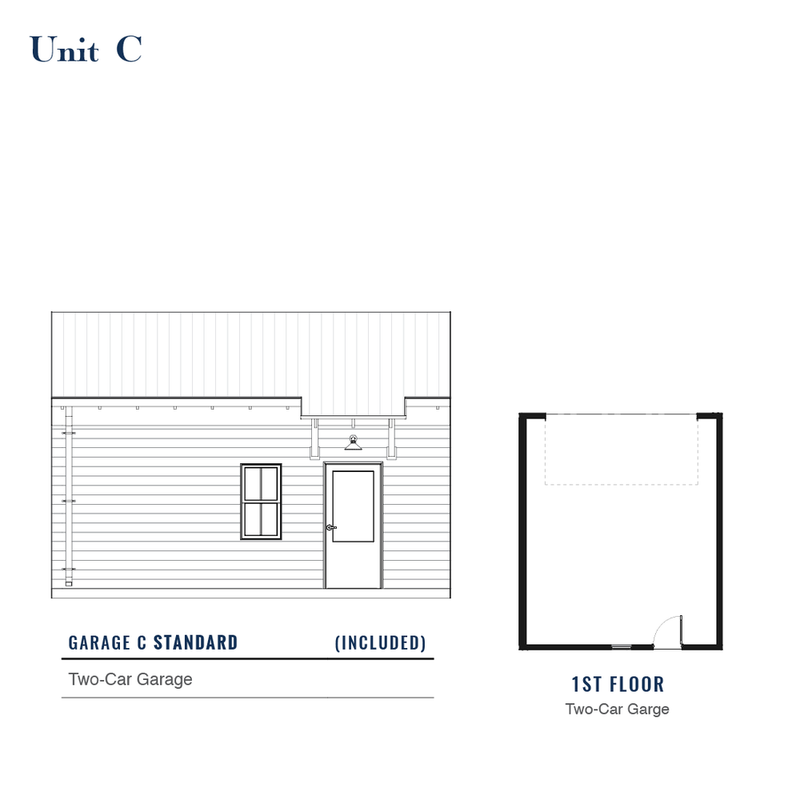 ft.); a two-car garage, with the option to add-on a 1 Bedroom/1 Bathroom (525 sq. ft.) in-law suite above, and a private, Florida Friendly landscaped backyard. Located on East Wilbur Avenue in the heart of Downtown Lake Mary — just one block from the Lake Mary SunRail Station—the ‘East Wilbur Live/Works’ offer unrivaled quality and location with emphasis on walkable town living. 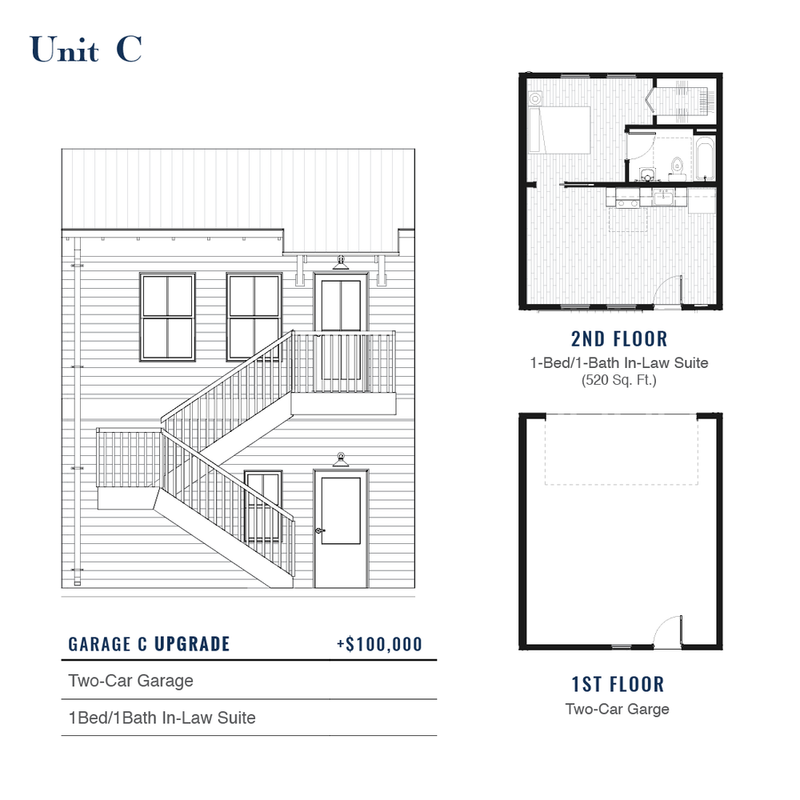 Each townhouse comes standard with designer level kitchens.